The place where I showcase my Work. 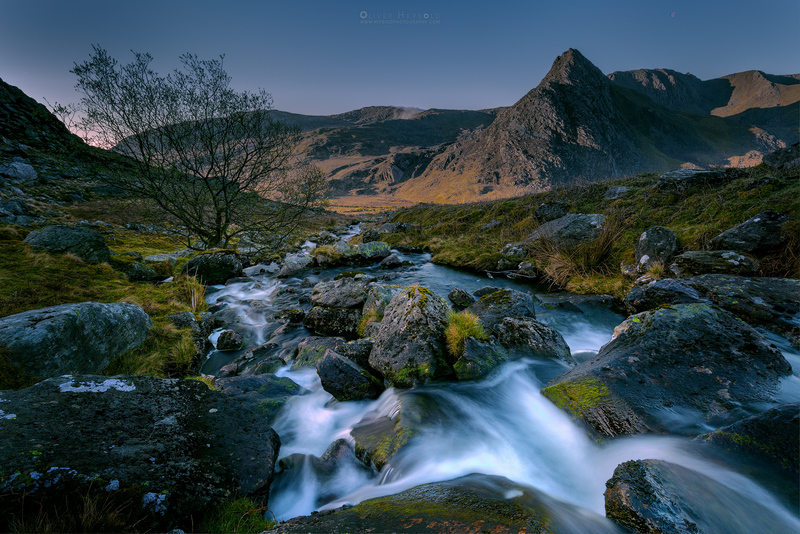 All images are available as print in various formats and many different types. No matter whether you are looking for a classic paper print, a canvas or Aluminium and Acrylic prints, our print partners create the right type of wall art for your home. Please contact us for more information. The foam in the water, driven straight towards me by the storm over the Craig Goch Reservoir, Elan Valley in Wales, initially caught my eye. 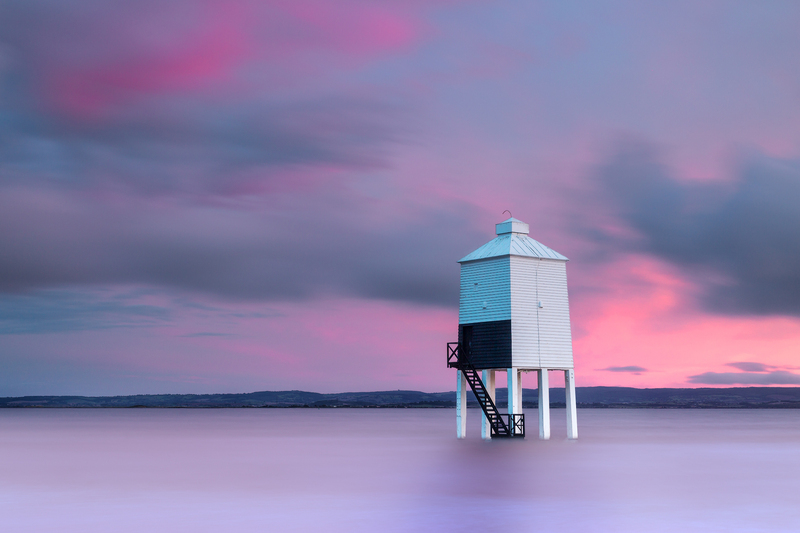 The use of a Lee Big Stopper plus a 3 stop hard grad filter, gave me the result I was hoping for, in this 110 second long exposure. 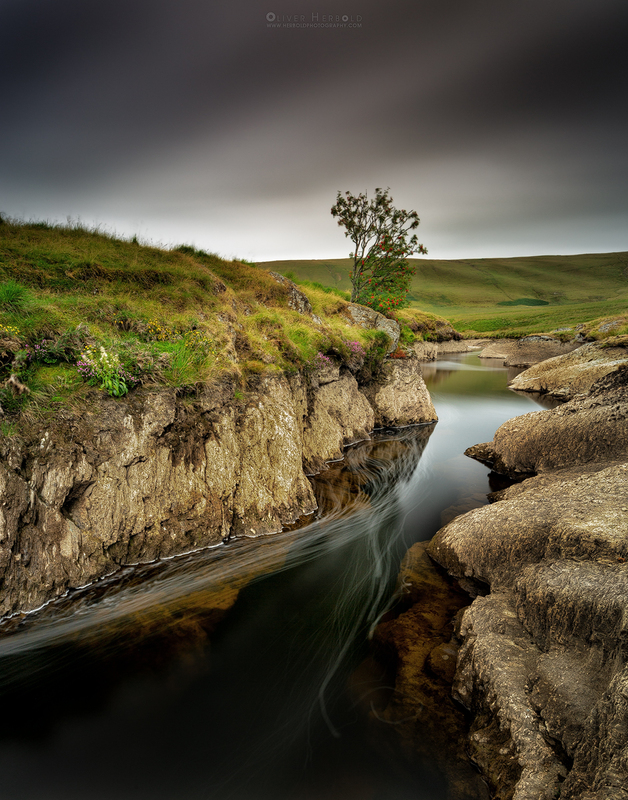 I found myself in a totally unexpected calm morning at the Elan Valley in central Wales. 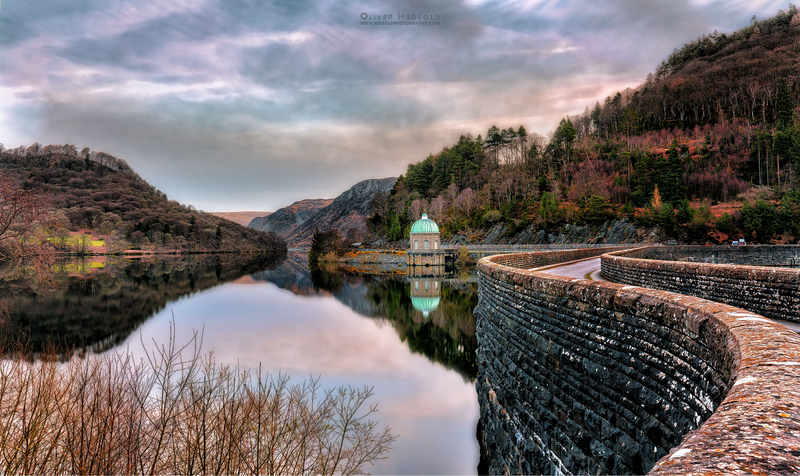 The elegant bend of the Garreg Ddu Dam leads to a mirror like reflection of its valve tower, embedded in the beauty of the surrounding landscape. 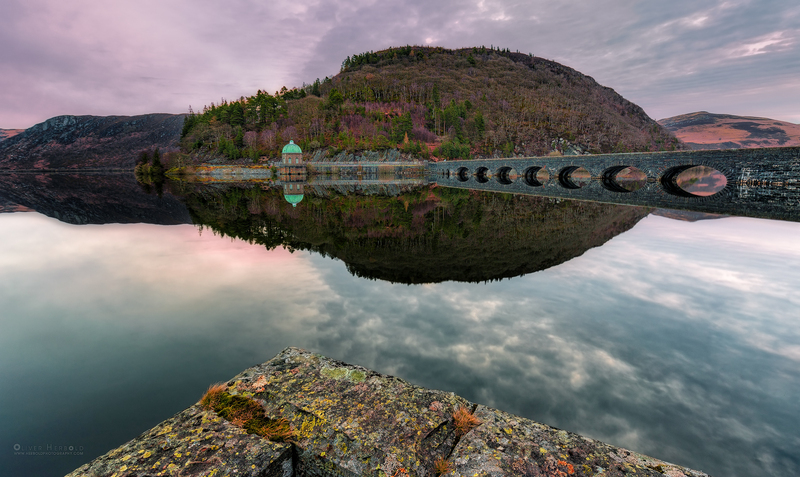 nstead of overflowing dams at the Elan Valley in central Wales, I found myself in an incredibly calm morning, with mirror like reflections in the water. This is the water level required to cause Craig Goch Dam in Central Wales to overflow. 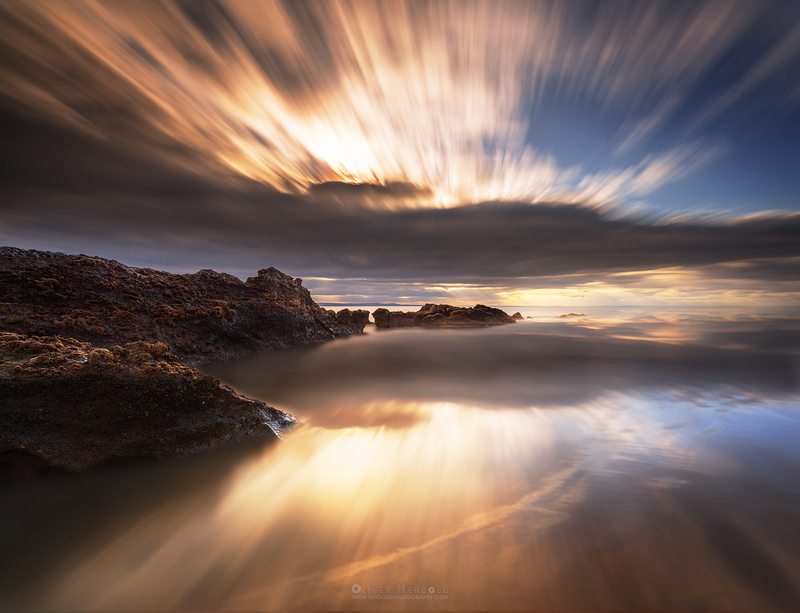 41 seconds exposure time, using a Lee Big Stopper plus a 2 stop graduated filter, were enough to make the motion in the fast moving clouds visible, just the way I wanted it. 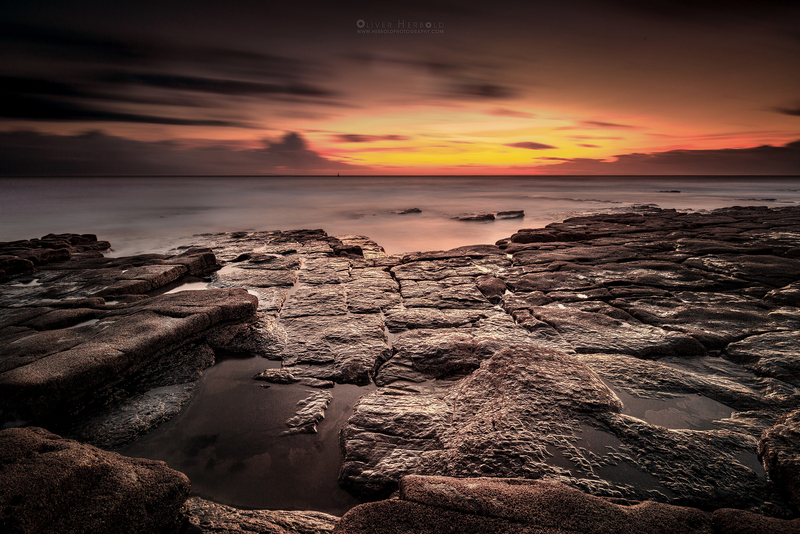 A long exposure sunset at Nash Point in South Wales. 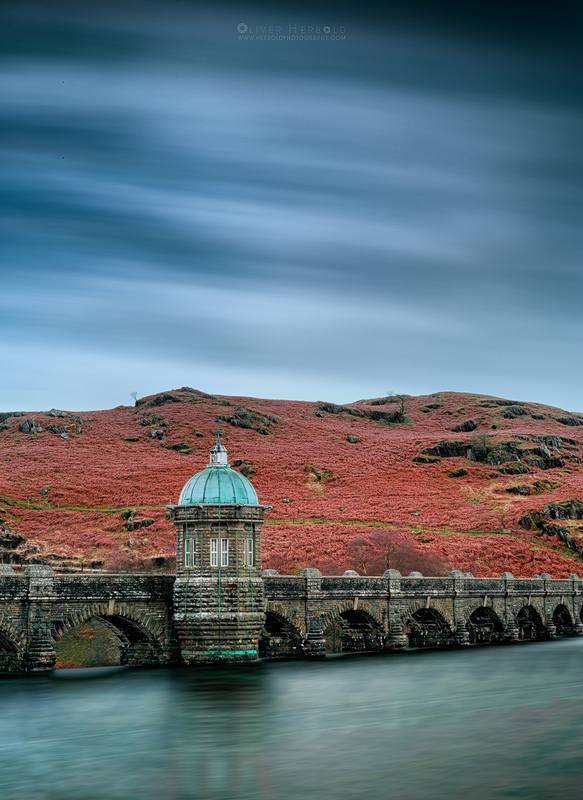 Experiencing the Elan Valley dams in full flow is is an incredible spectaculum. 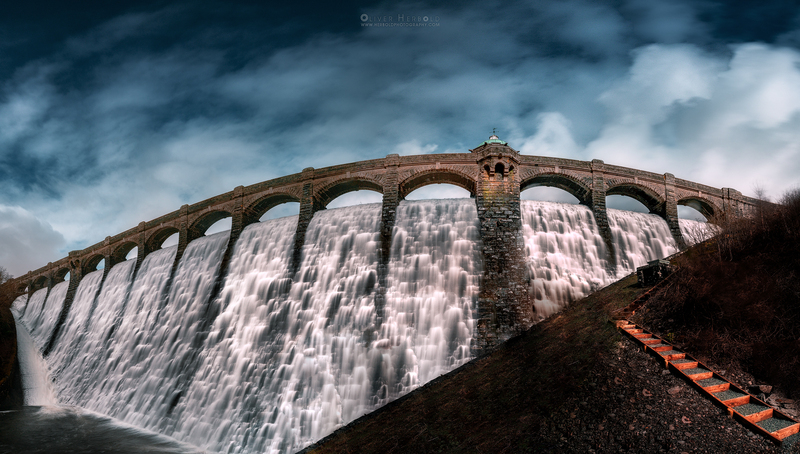 The one in this image is a five vertical shot panorama of Craig Goch Dam. 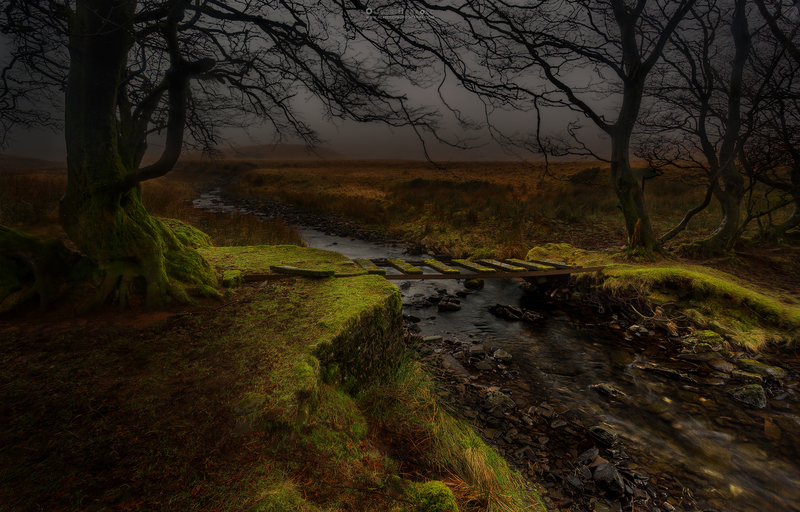 There were really crazy weather conditions in the Elan Valley over the weekend. The storm blew constant while rain, sleet and sunshine were changing in 10 minute cycles, offering amazing views over Craig Goch Reservoir. 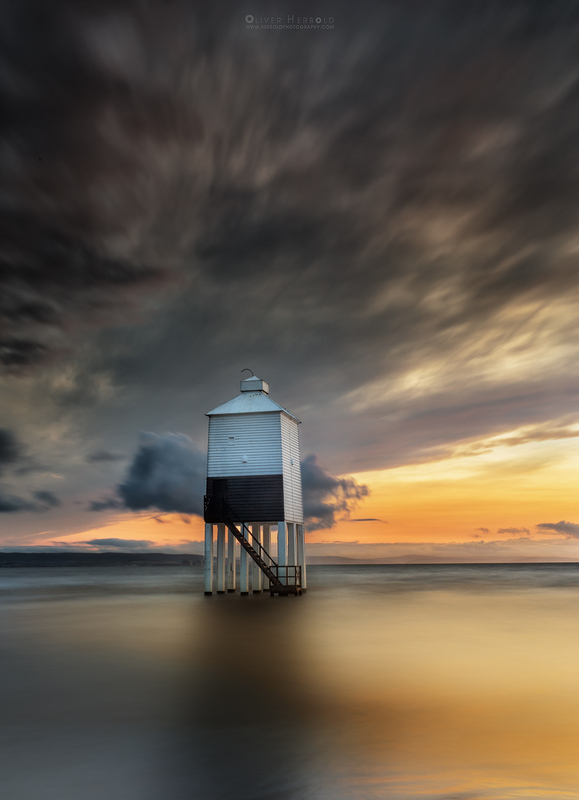 The use of a Lee Big Stopper plus a 3 stop hard grad, stopped down to f/16, gave me a 60 second exposure to make the motion of the fast moving clouds visible. 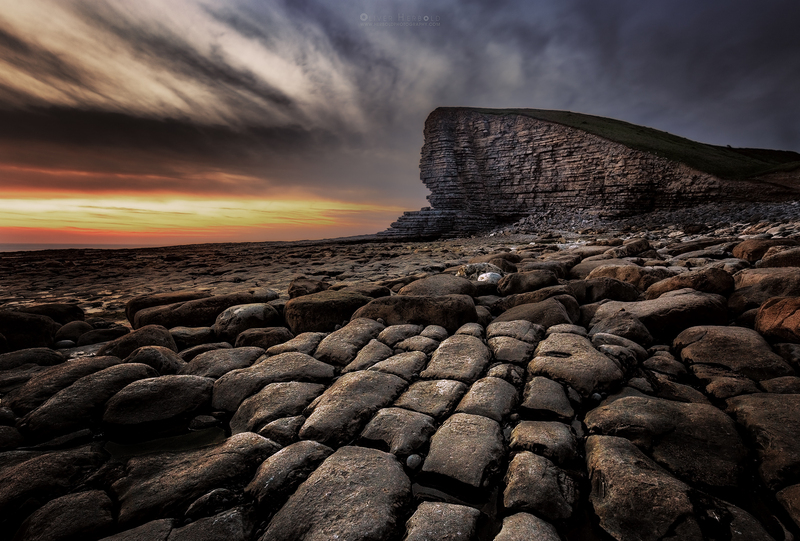 Nash point is a landmark on the Welsh South Coast, the Vale of Glamorgan. 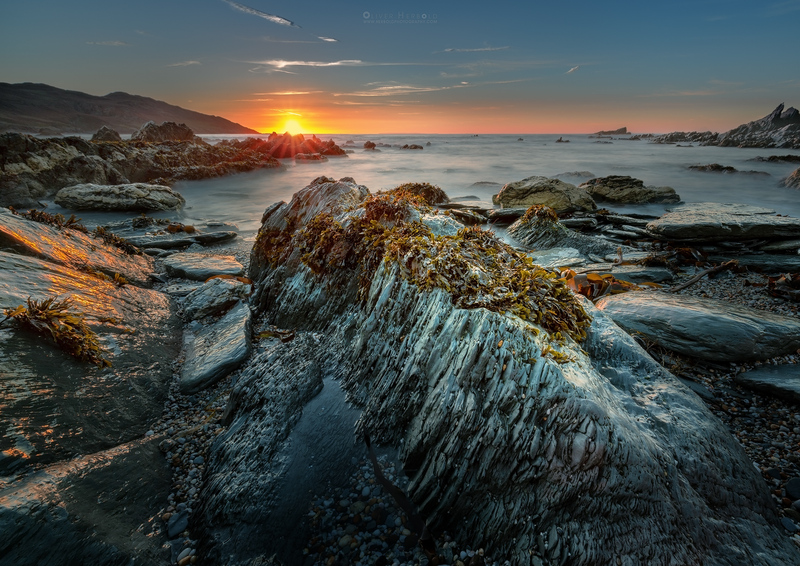 Here is an impression of a beautiful sunset evening at low tide. 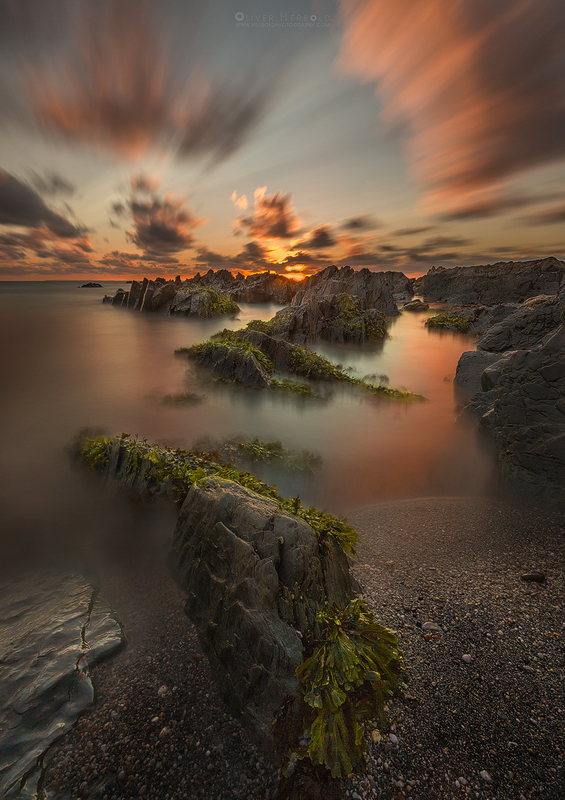 That stretch of coast in South Wales has a lot to offer, especially with a sunset like we had that day! 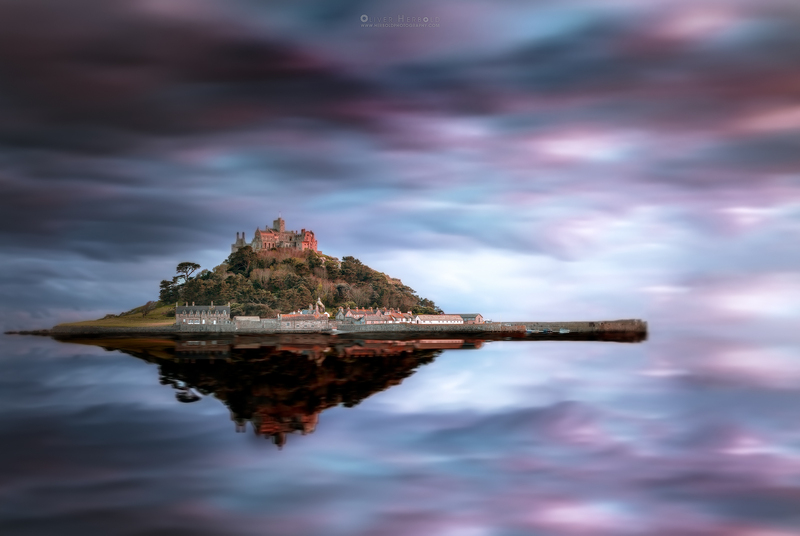 St. Michael’s Mount in Marazion, Cornwall. 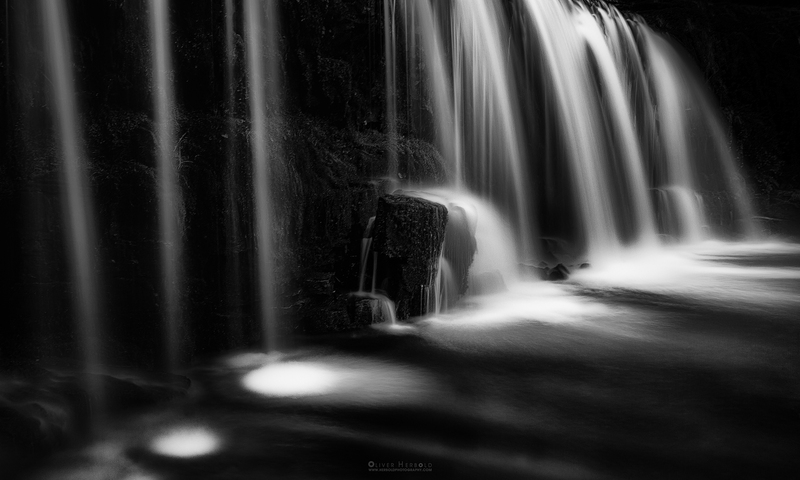 Let’s call it digital improvement 😉 Still, this image has been created from a single long exposure RAW file. 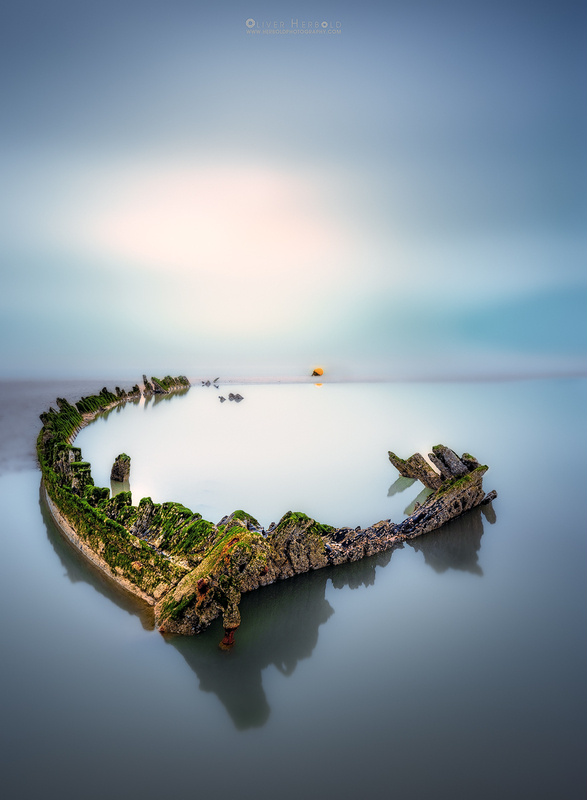 The wreck of the Vonette, a three masted schooner, on the beach of Bray-Dunes in France, just across the border to Belgium. This was my very last shot of 2018, on the dull afternoon of new years eve. I was out for photographing seascapes but the wonder of light really happened behind me. 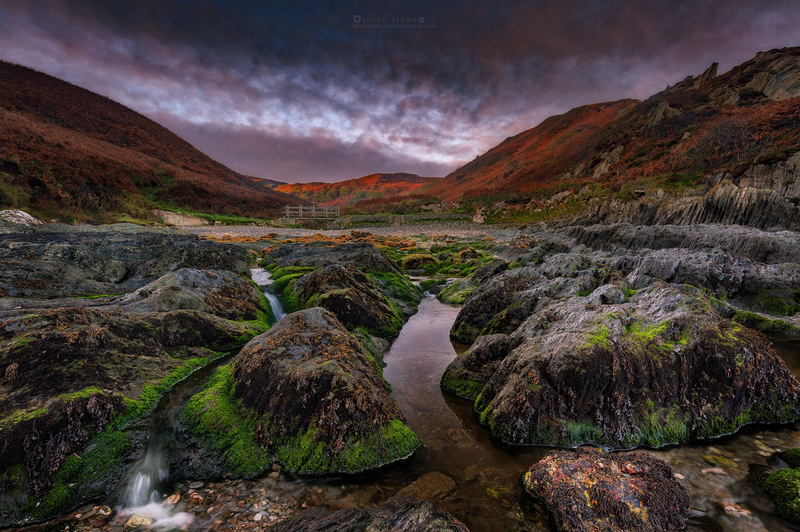 Getting up early was rewarded with beautiful colours at the North Devon Coast, near Mortehoe. I truly wish I was living closer to the sea. 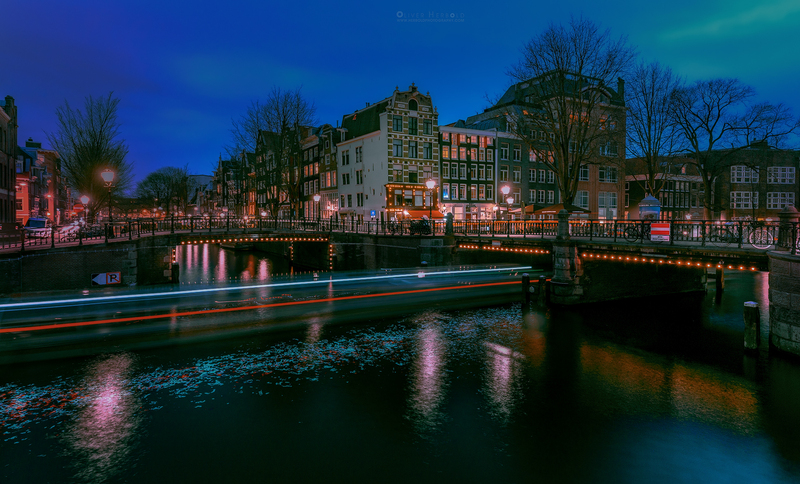 Blue hour at Prinsengracht in Amsterdam with a bit of traffic on the water. 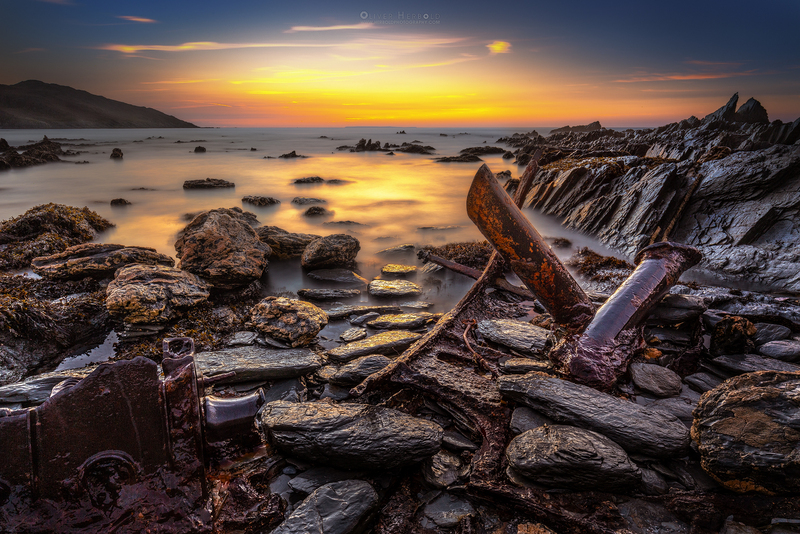 A few iron remains of a shipwreck at Rockham Beach in North Devon, illuminated by the last glow of the day. The soft light and warm tones are a strong contrast to the drama it must have been when the vessel got stranded on the rocks. At the end of a wonderful seascape workshop day at Dunraven Bay in South Wales, I finally had a little window to take a few quick shots myself. 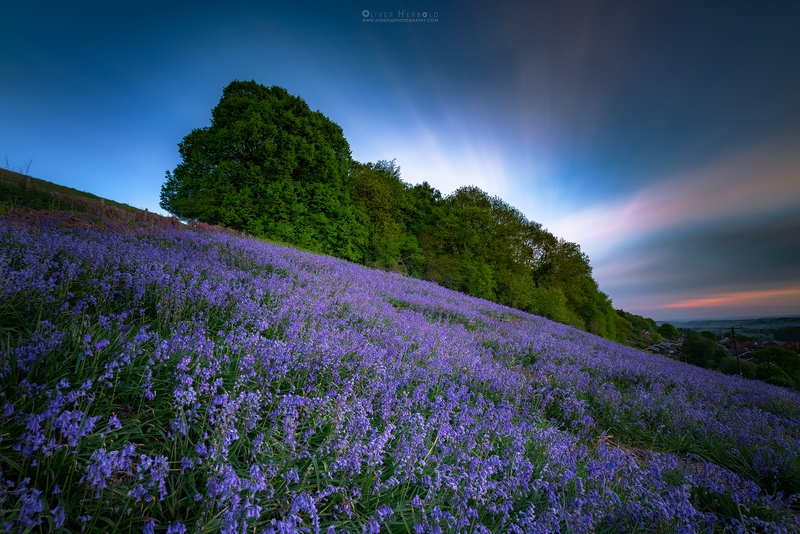 Surprisingly the biggest challenge was to find a composition - simply for the fact that there are millions of opportunities and I had to make a quick decision. Watching the patterns in the water and how they change is always something mesmerizing to me. 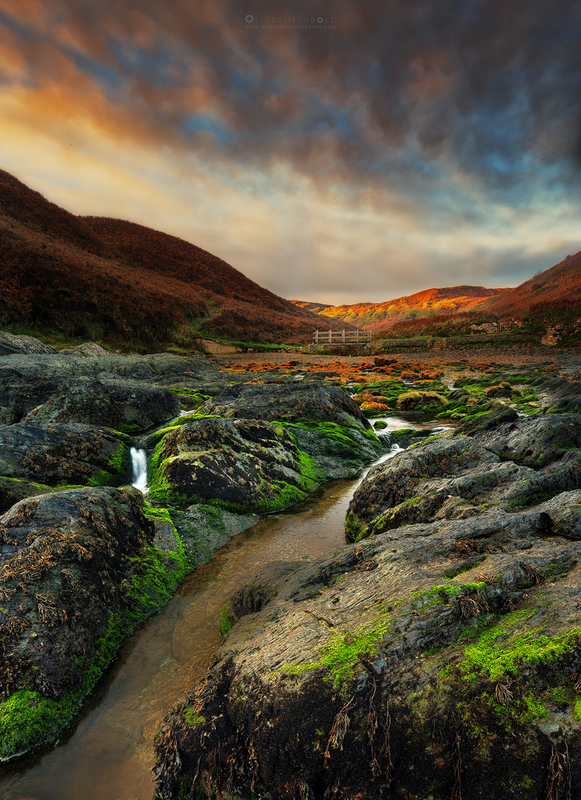 After busy weeks, the first opportunity to have a weekend off and get my camera to use led us to the beautiful coast of North Devon. 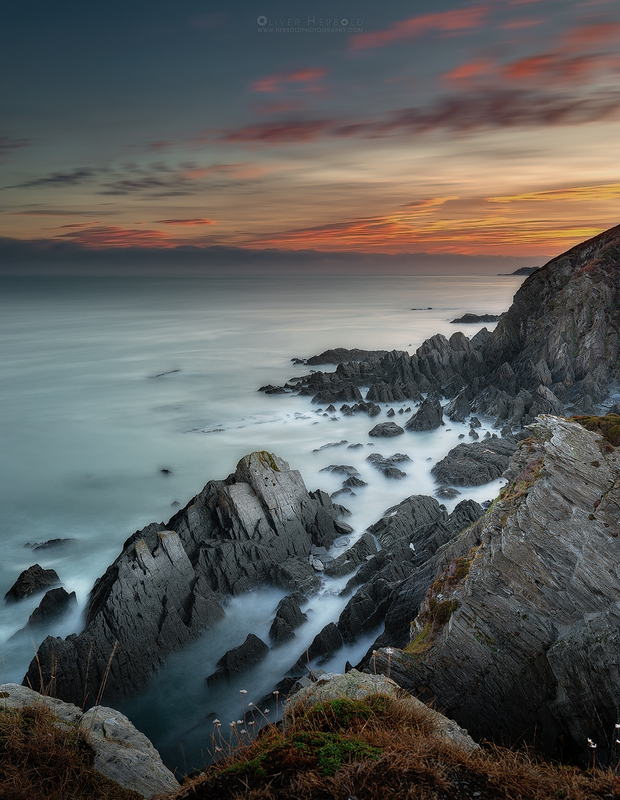 An early morning hike that started in total darkness was rewarded with a lovely sunrise over the North Devon Coast near Mortehoe. 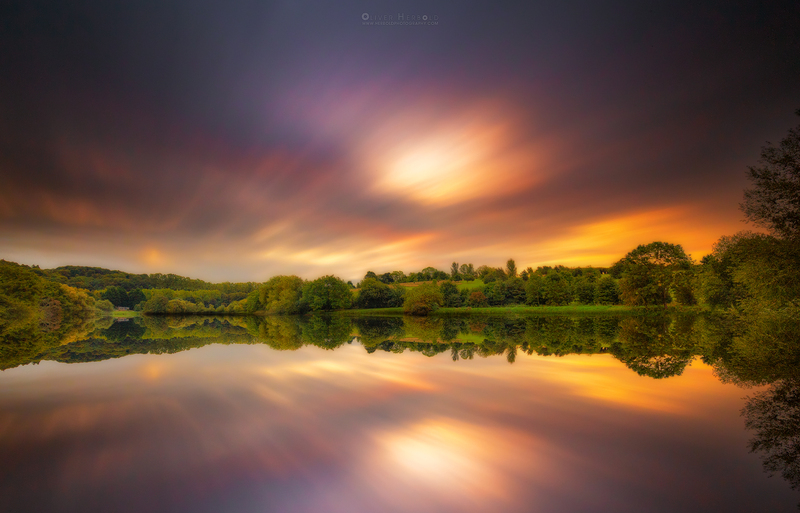 A colourful sunrise with its dreamlike reflection at a little lake near my home. 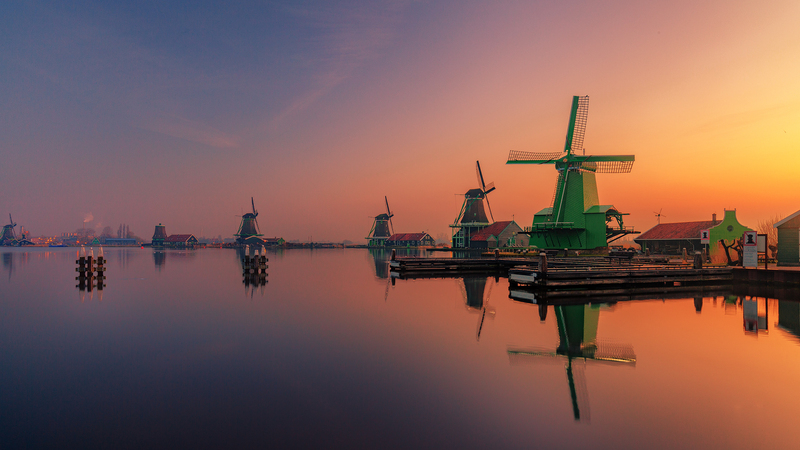 One of the famous windmills at Zaanse Schans in the Netherlands, in the shine of a glorious sunrise. 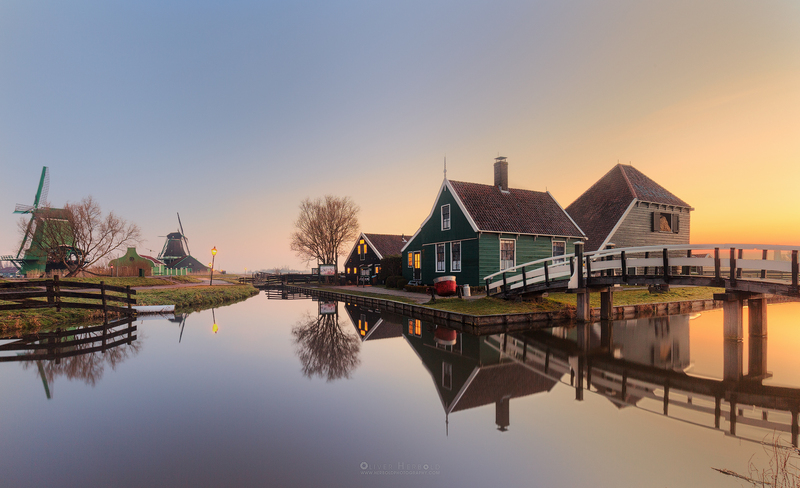 The view from Zaanse Schans over the water to Zaandijk early in the morning. 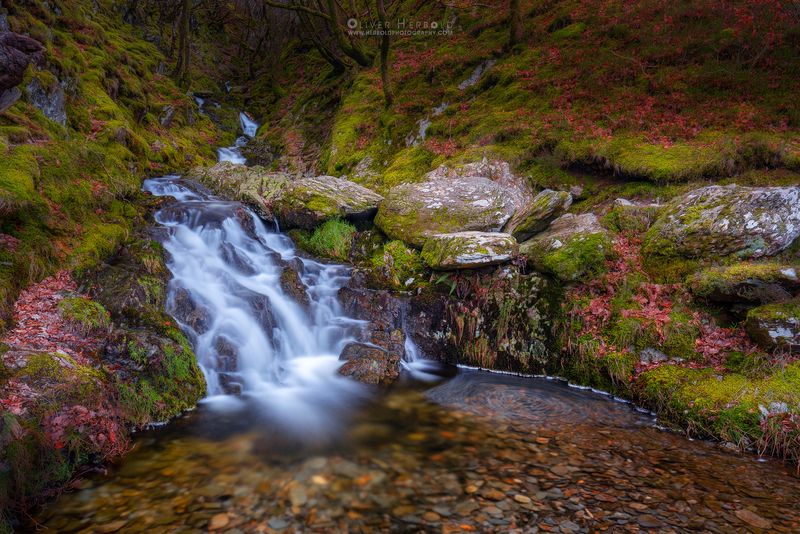 The Elan River, north of Craig Goch Reservoir in Central Wales. 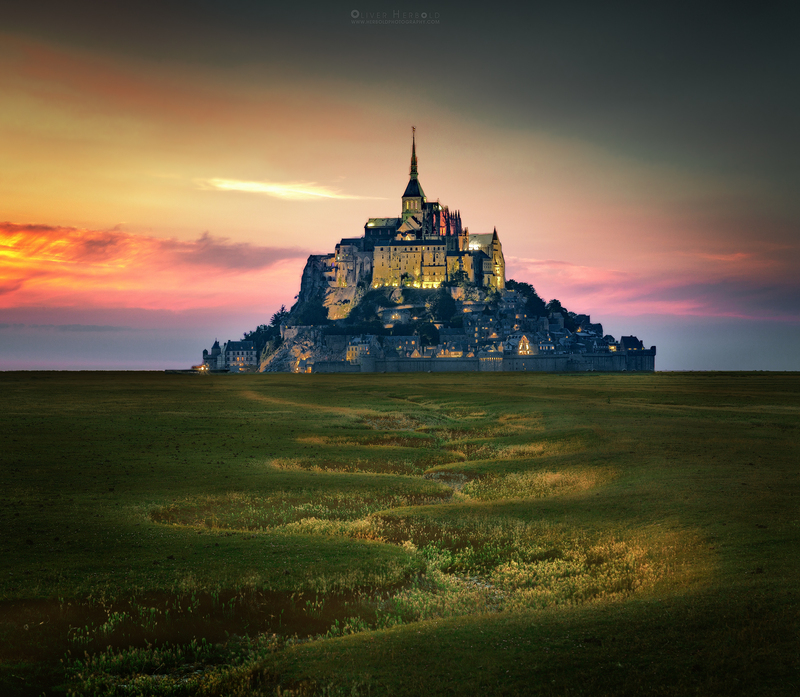 Who does not love triangles in Landscapes? 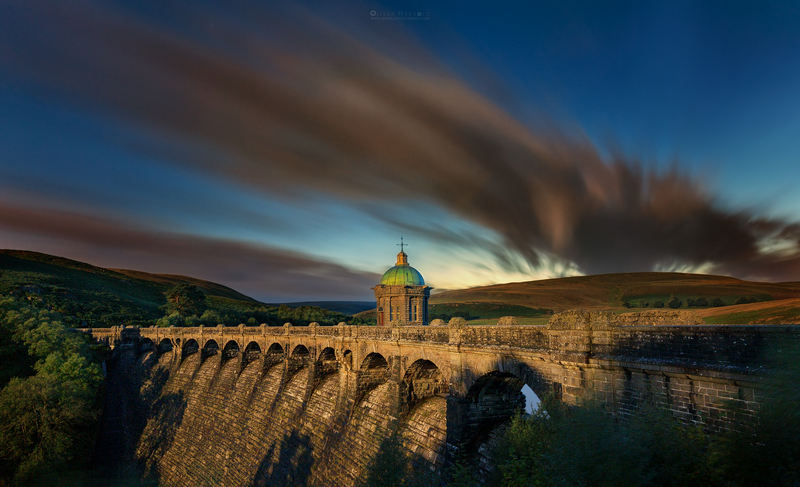 One evening at the Craig Goch Reservoir, in the Elan Valley in central Wales, something unexpected happened. Sunset was already an hour and a half ago and there was just a little shine above the horizon on the right hand side of the valve tower. At the same time, the moon showed itself over the hills in the exact opposite direction - on the left hand side of the scenery - and worked as a big reflector to illuminate the dam. 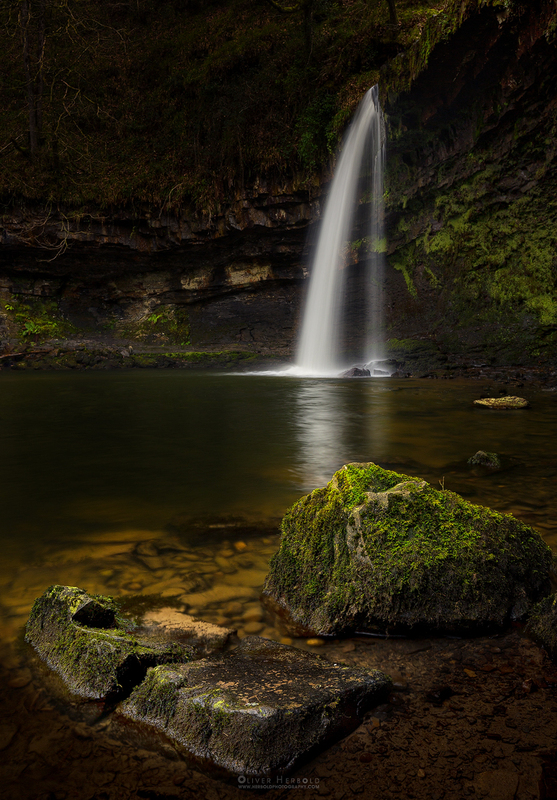 Still, without my fondness for long exposure photography, I wouldn’t have bothered setting up my camera - but a four minute exposure at ISO 400 made a scenery visible, the naked eye could not remotely imagine. 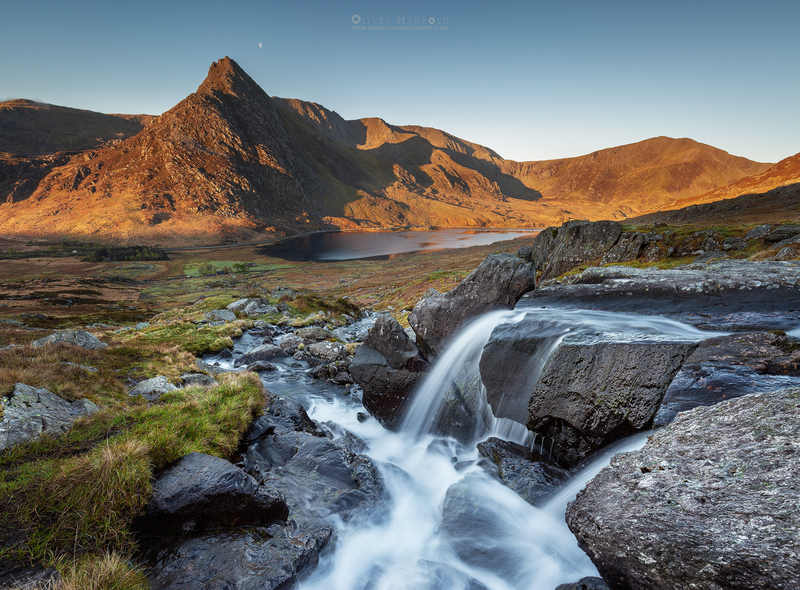 The Elan River, north of Craig Goch Reservoir in Central Wales. The extremely low water level reveals how deep it has carved it’s bed into the rock. Photoshop playtime with a little composition. The plain blue sky has been replaced with a beautiful sunset. 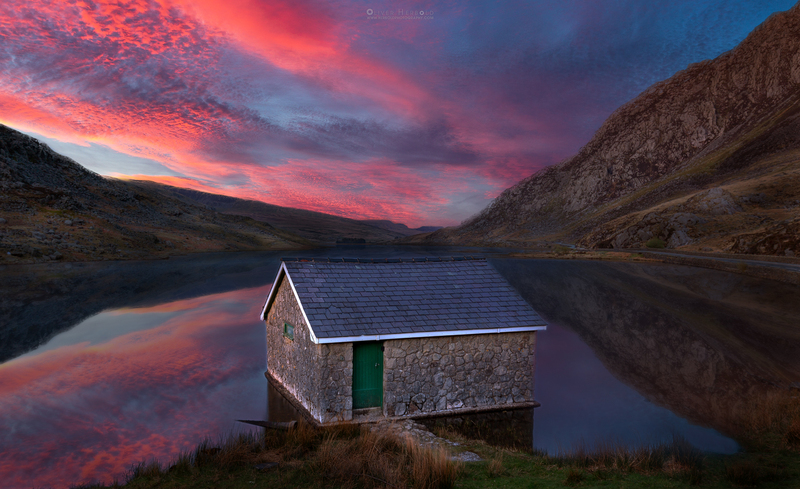 The popular and well known boathouse at Llyn Ogwen. Guess what, I’m not sure If I have ever seen a photograph of it without a single cloud in the sky. 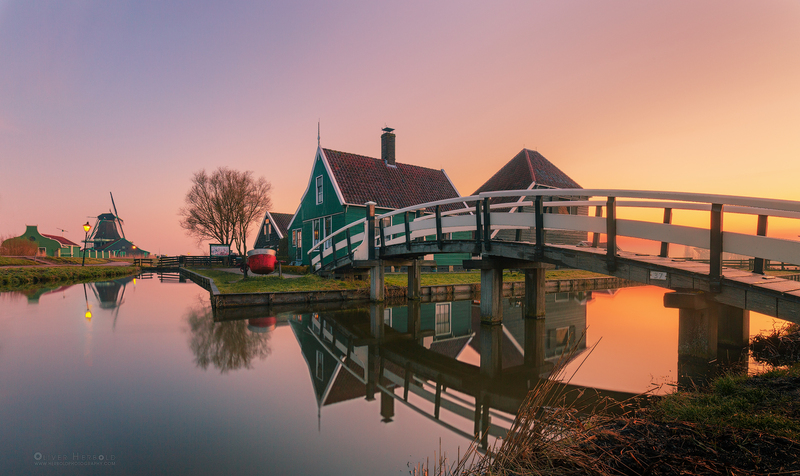 Zaanse Schans is a well known location for photographers. My own little horror story with the non existent clouds continued when we were visiting the location but I tried to make the most of the early morning light. Being really early paid off because I didn’t have to use my „tourist elimination skills“ and the scenery was very quiet and peaceful. 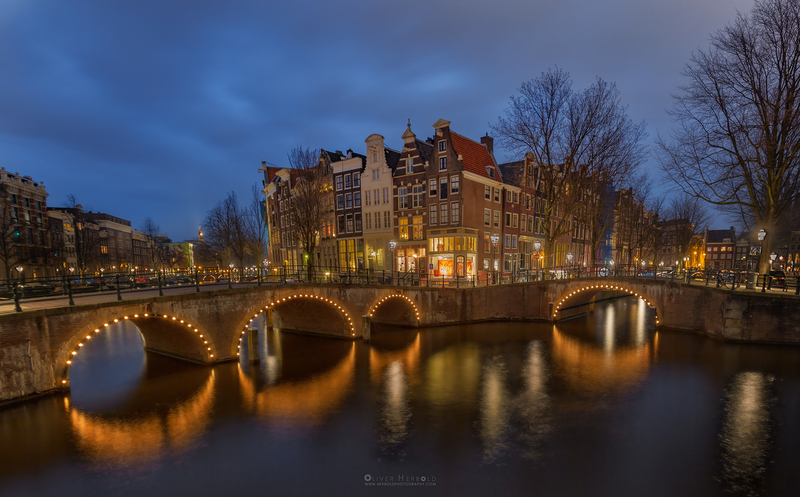 When visiting Amsterdam, Damrak is one of the „must shoot“ locations. Here is my interpretation of this spot. 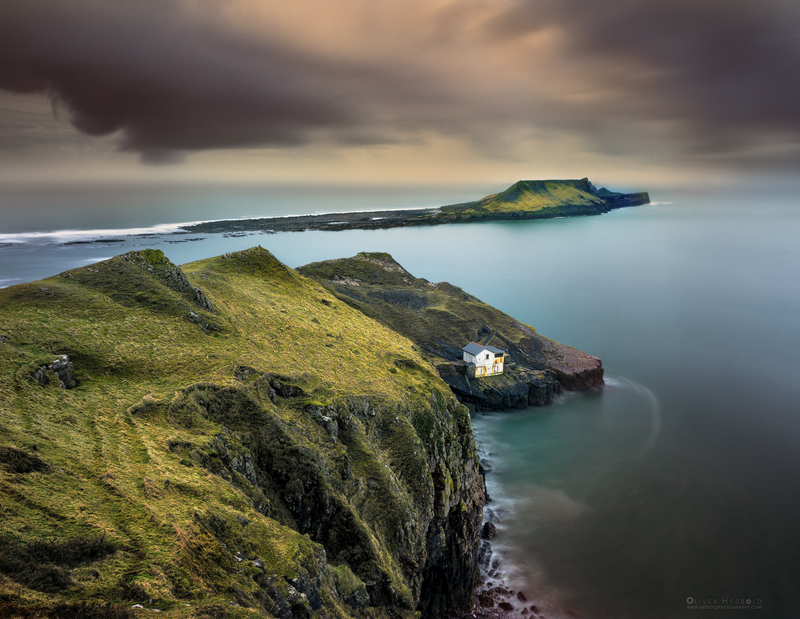 Worm’s Head is a tidal island on the south-west end of Rhossili Bay on the Gower peninsula in Swansea, South Wales. 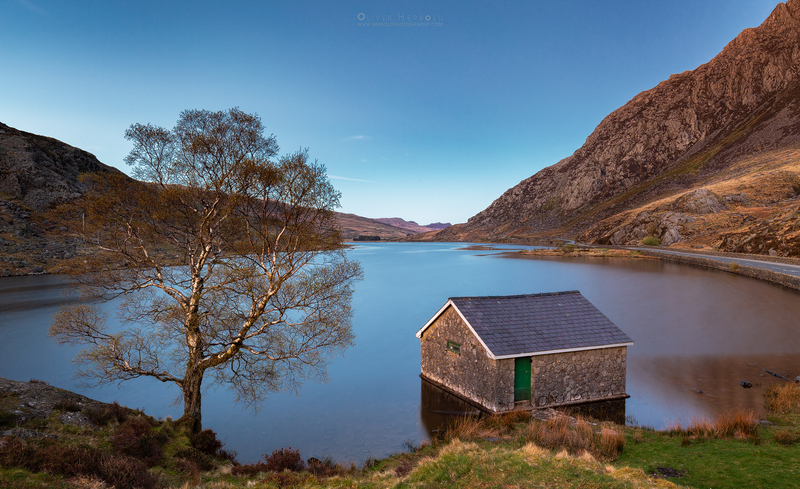 The abandoned boathouse, called Kitchen Corner, gives a sense of scale of this rock formation. 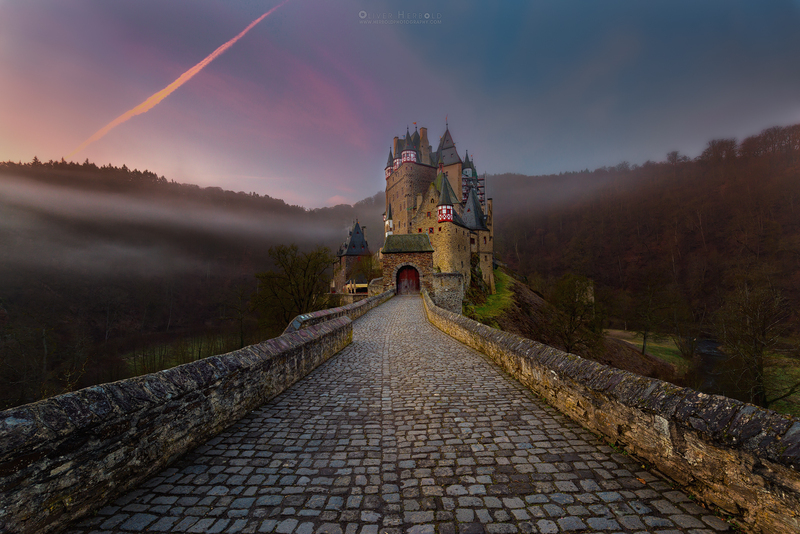 Eltz Castle (German: Burg Eltz) is a medieval castle nestled in the hills above the Moselle River between Koblenz and Trier in Germany. 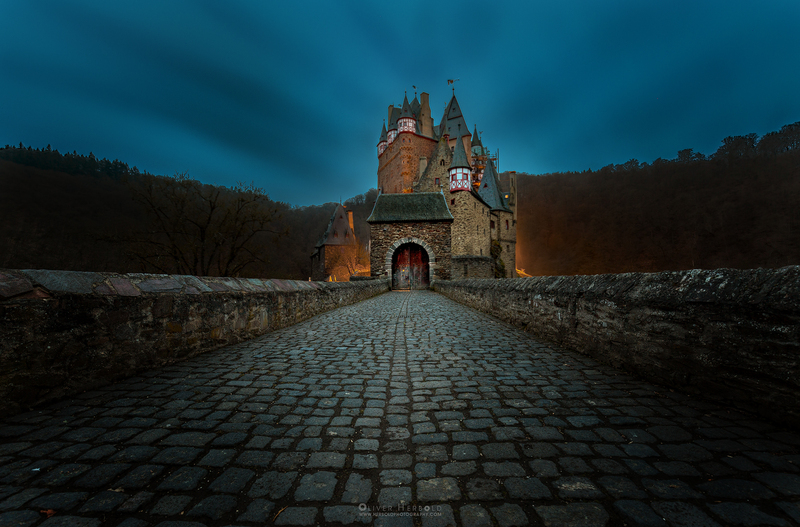 It is still owned by a branch of the same family that lived there in the 12th century, 33 generations ago and it is one of the few castles that has never been destroyed. (Thanks Wikipedia!) Even though it's only an hour and a half to drive from where I grew up, I've never visited the location before. 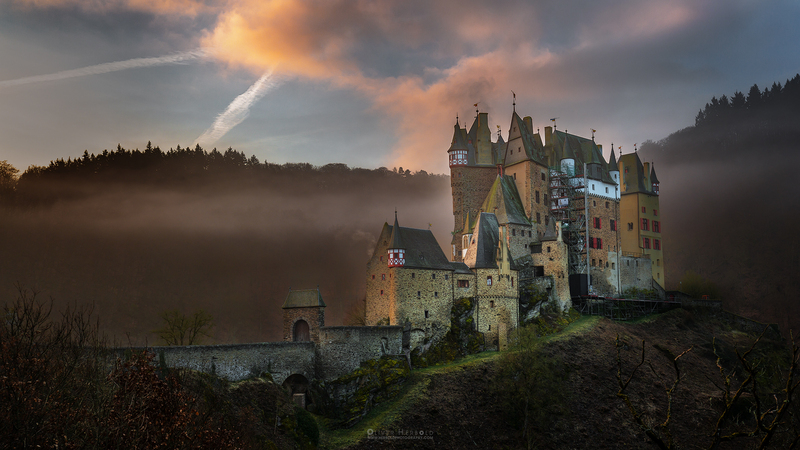 So on our recent road trip to Germany, we decided to have a stop and take some photographs of this iconic castle. 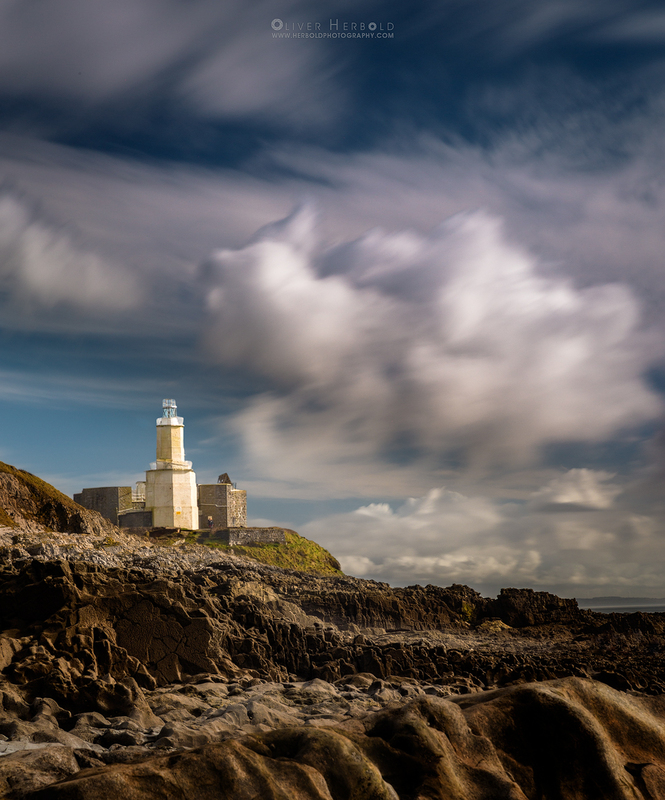 Along with the nearby Pier and Lifeboat Station, Mumbles Lighthouse - which was completed in 1794 - is the most photographed landmark in the area. 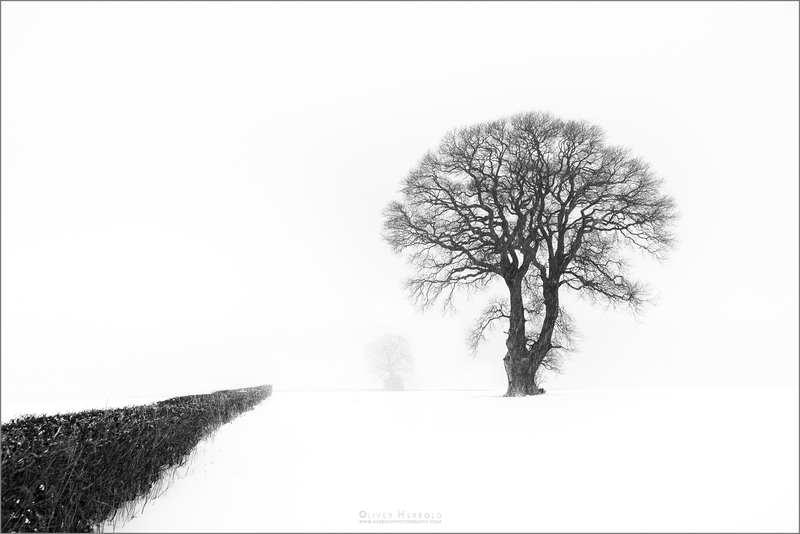 I always wanted to photograph winter landscapes but never had the opportunity, mainly because of the usual lack of snow in the area where I live. When the white stuff finally appeared and brought traffic to a standstill, I had to grab my gear and take it for a hike around the hills near my home. The conditions during heavy snowfall are really challenging and the colors in the landscape almost completely disappear. 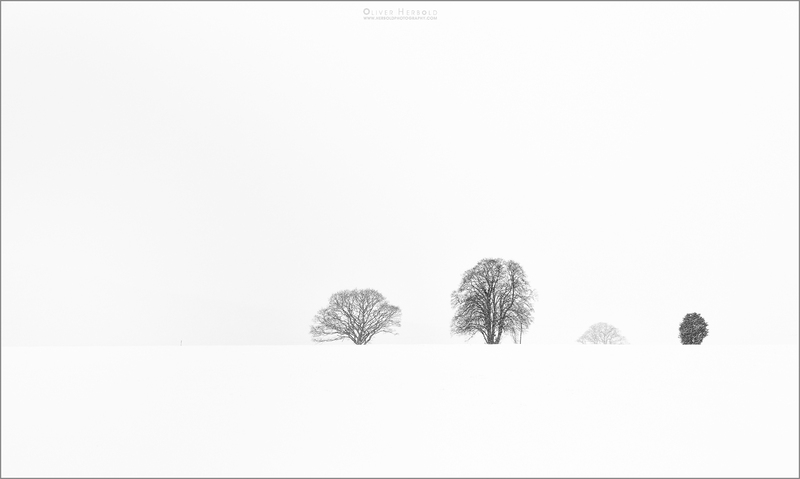 That made it an easy decision to present this winter landscape as monochrome. 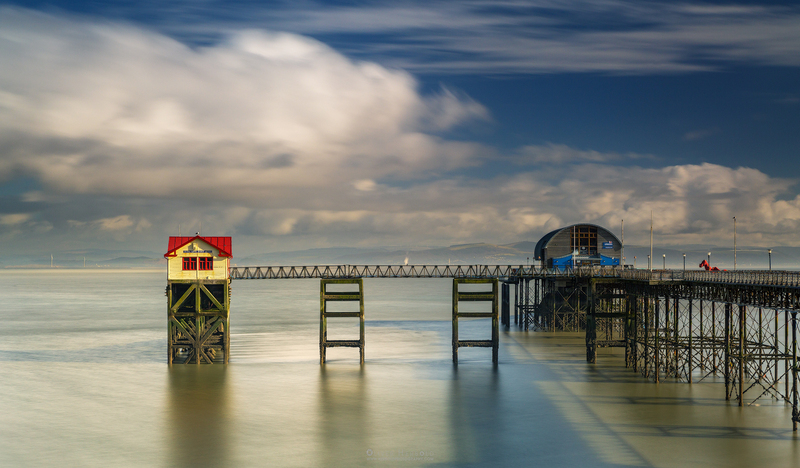 Located at the north-west corner of Swansea Bay, near the village of Mumbles, this victorian pier stretches 835 feet (255m) into the sea. 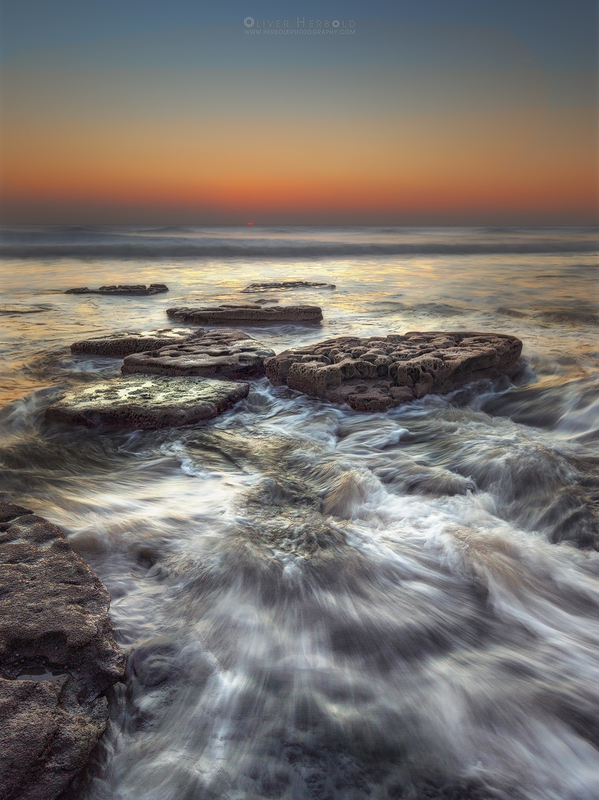 A 30 second long exposure seemed to be the right choice for a balance between smoothing the surface of the water and keeping enough texture in the impressive clouds above the horizon. 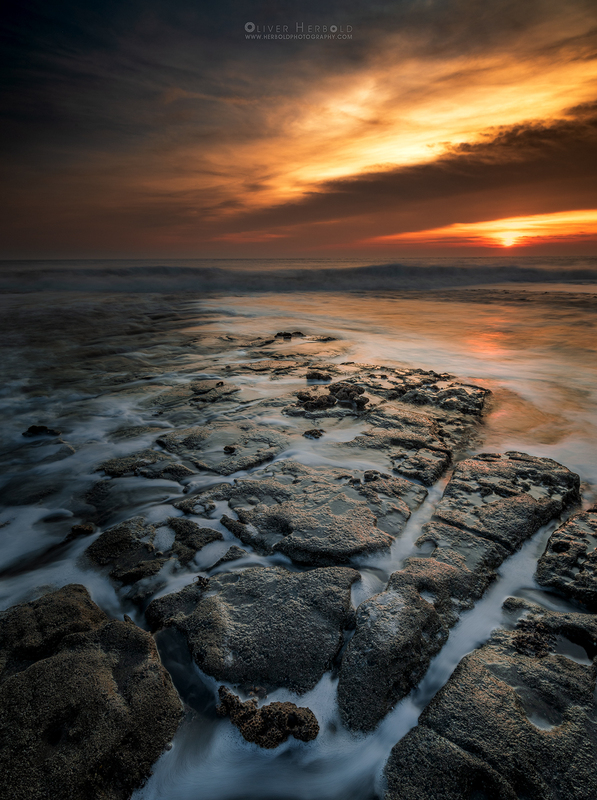 140 seconds at Dunraven bay in South Wales. The camera unveils what your eye can’t see. Not many words today. 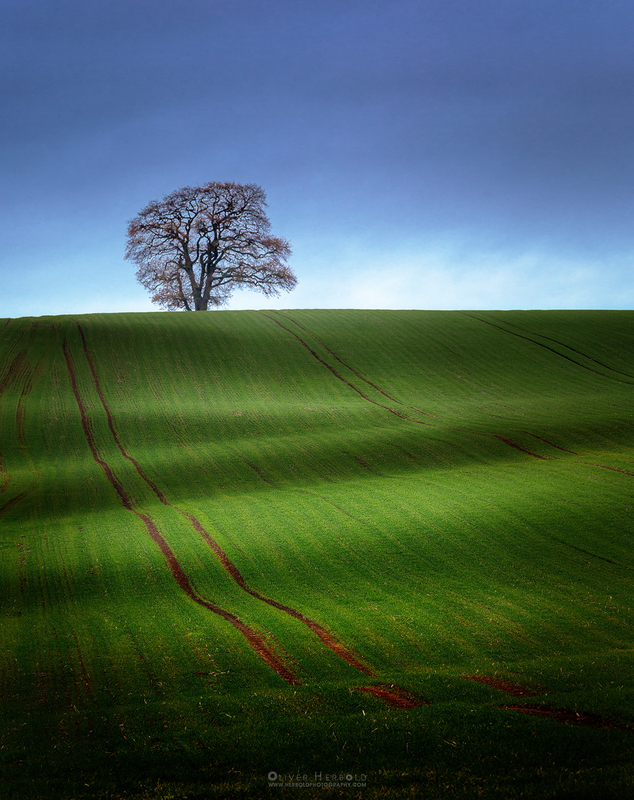 Just a single tree on top of a hill over a green field. 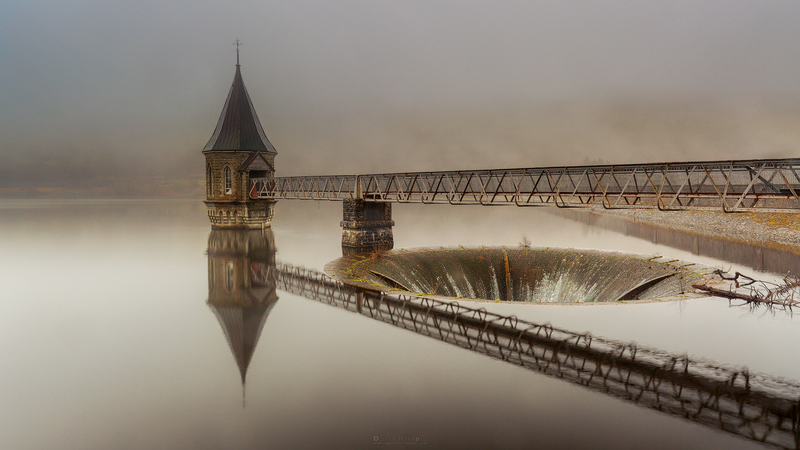 I’ve been to the Pontsticill Reservoir in Wales, with it’s picturesque valve tower, quite a few times but never when the water was high enough to overflow into the bellmouth. Well, this box can be ticked now. I will also remember this day for permanently wiping lenses and filters in the mixture of fog and rain. Not sure, if the conditions could be any trickier. What do you guys use to keep the glass dry and clean in such damp conditions? 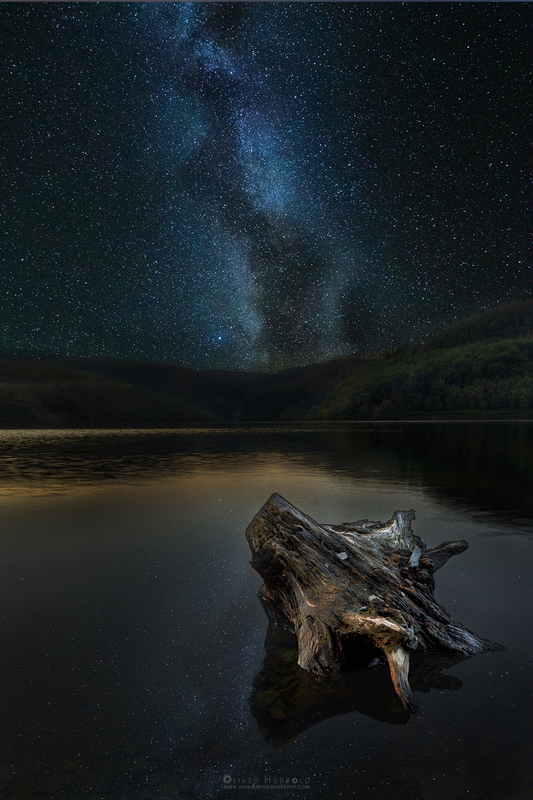 The moment I’ve spotted this tree stump at the Llyn Brianne Reservoir in Central Wales, I wanted a photograph of it at sunset. 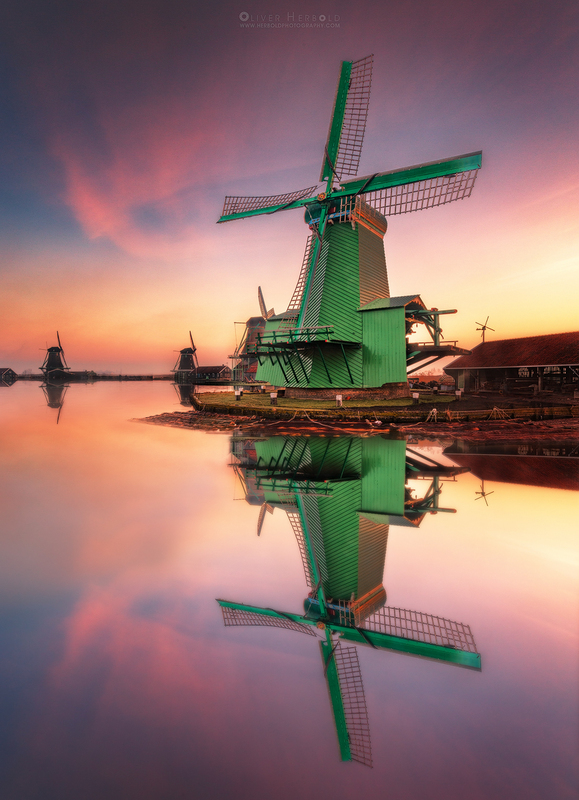 In my imagination there were magnificent and colorful clouds over the horizon, with a glorious reflection in the water. Well, only in my imagination because at time there was not a hint of a cloud left in the sky. This means that blank space above the tree line had to be filled with something. On the plus side there were no clouds covering the stars at night. So a few hours later, around midnight, I took the photo of the Milky Way at the same area, just in a different direction. What you see here is the combination of both. I still need a lot of practice and experience with this type of work but I’m quite pleased with the result and hope you like it too. 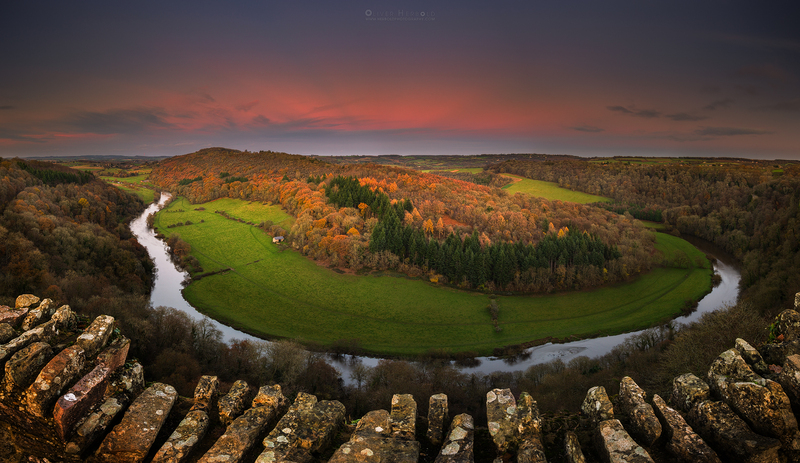 Symonds Yat Rock on the border between Gloucestershire and Herefordshire is just 15 minutes away from where I live. The view point overlooks a lovely bend of the river Wye and at the right time of the year, raptors like Peregrine Falcons, Buzzards and even Ospreys can be seen. 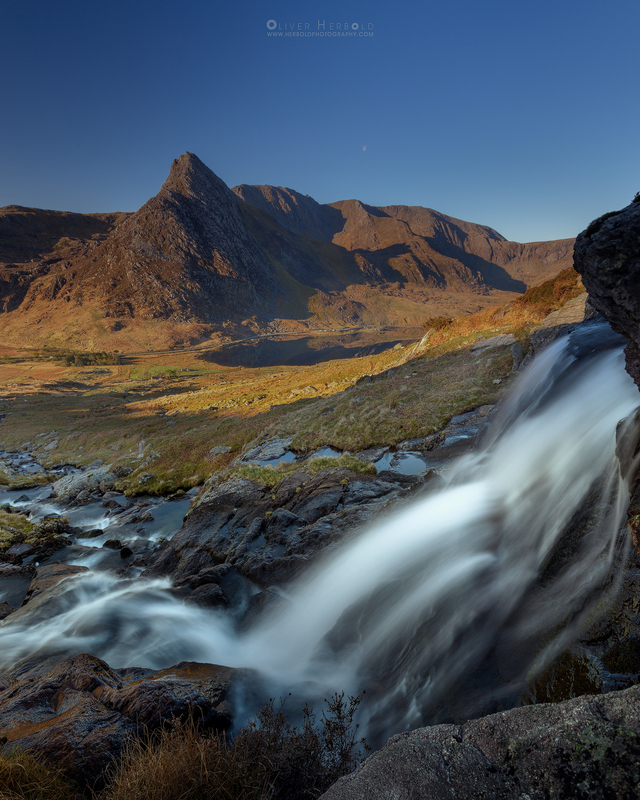 From the view point aren’t exactly an awful lot of compositions available and to get something unique, I decided to create a panoramic view, stitched together using five vertical shots of 8 seconds each, showing the last light of that early winter day. When the Robins posing round and fluffy like this little fellow in the Forest of Dean, you better get prepared for winter coming soon. 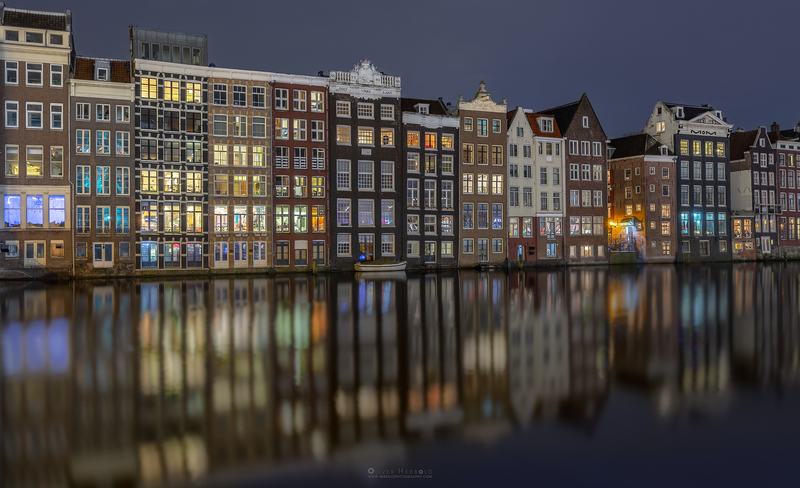 Here is my first attempt of a composite image, so please don’t be too harsh with me. 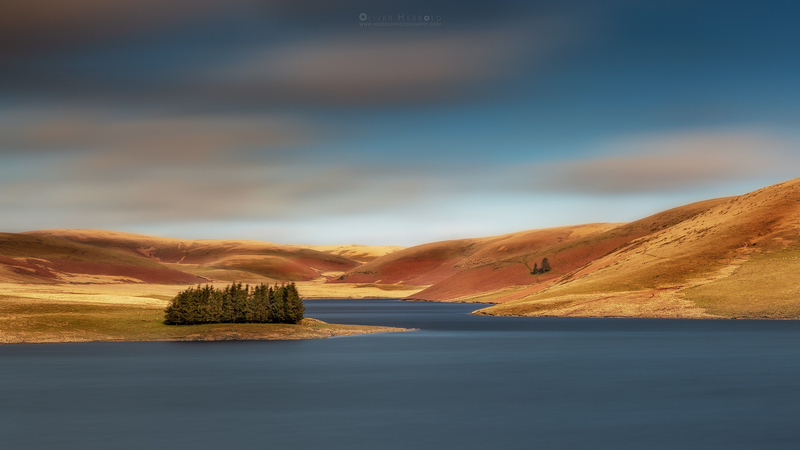 The photo of the beautiful countryside in Central Wales, a few miles south of the Brecon Beacons, at the Llyn Brianne Dam, has been taken before sunset. 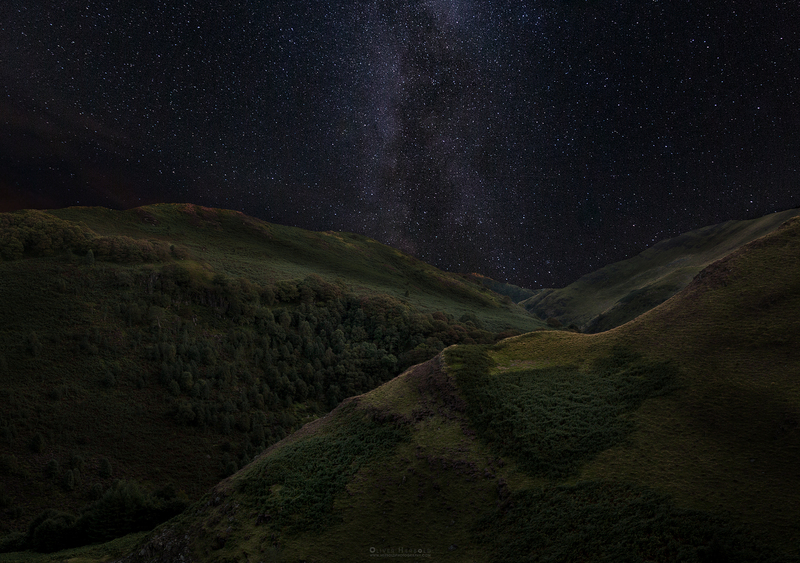 The milky way is from the same area and same day but taken after midnight. Both images spent a bit of time on my disk and for quite a while I had the idea to combine them. We all enjoy a beautiful sunset at the beach but sometimes you just have to wait a little longer. 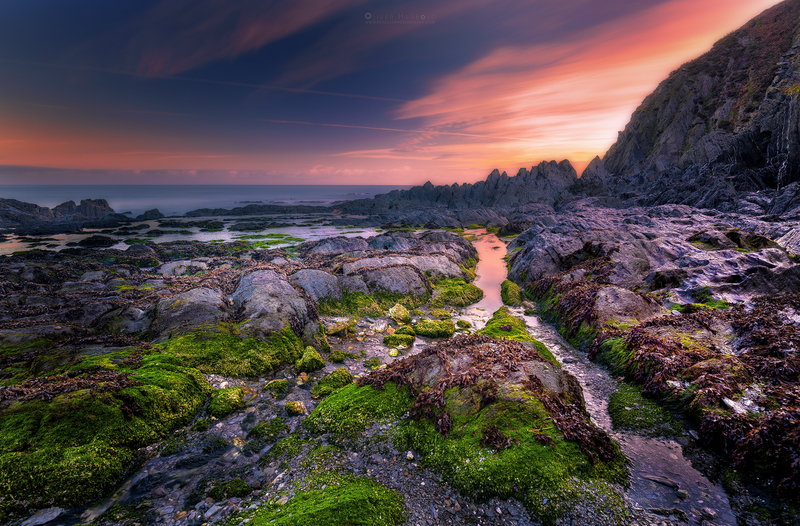 When the light is fading away and the colors are getting a little more intense, the rocks seem to glow in a very special mood. 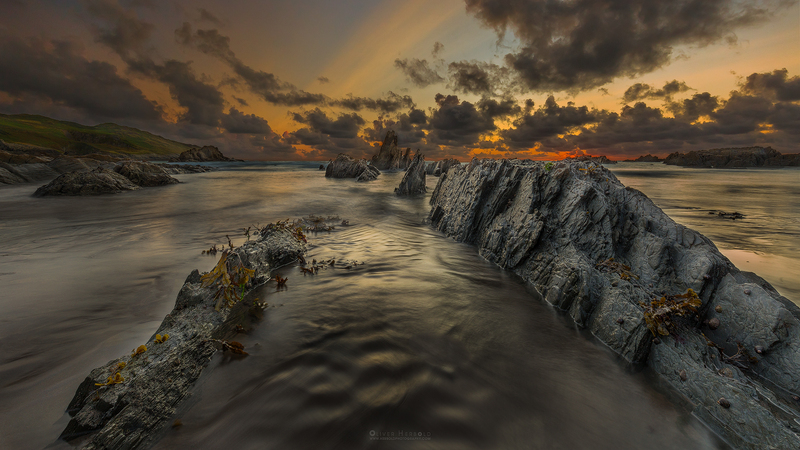 This is the time when Rockham Beach in North Devon shows us all its glory. It’s always fascinating how colors can change during a single sunset. Not only the warm orange phase looks appealing, sometimes it is the time before, when it still looks a little cooler and blue and pink are dominant. That mood looks way too good to waste the colours. 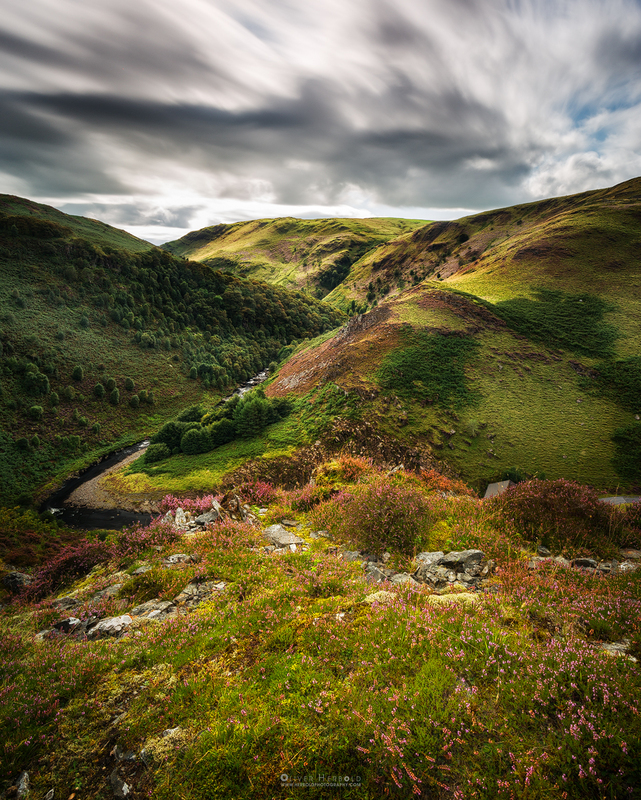 Overlooking the landscape in Mid Wales, where the river Towy is leaving Llyn Brianne dam. Gaps in the cloudy sky let the sun shine through, painting patterns of light and shadow on the hills. Aberysthwyth in West Wales is a beautiful town, no doubt. If you walk away from the usual tourist hot spots for just ten minutes, where there is no pier, where are no restaurants, no cafes and less people, you can enjoy this beautiful view of the atlantic coast. 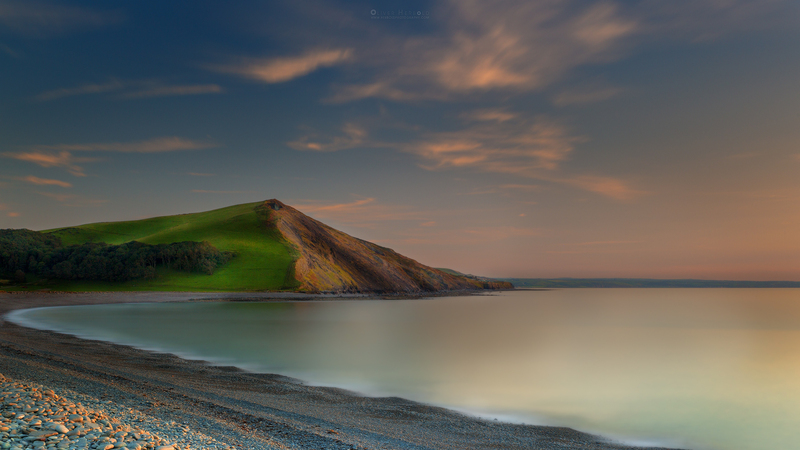 Who wants to sit there with me, enyoing the golden light? 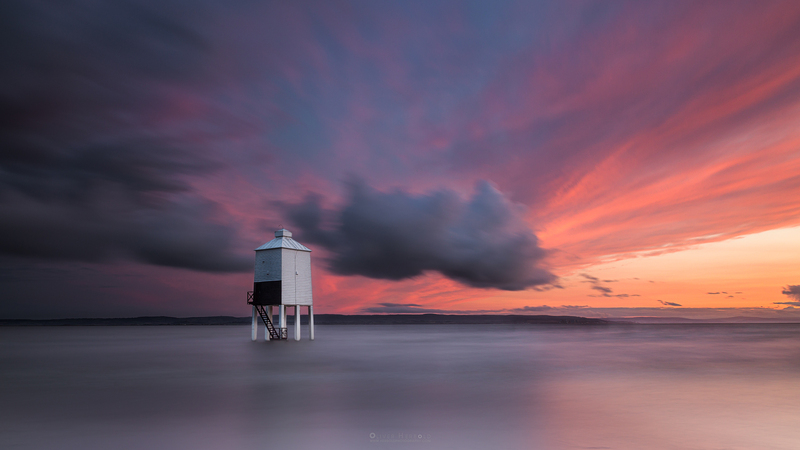 High Tide and wonderful warm sunset colors at the Burnham-On-Sea Low Lighthouse.